First Thing’s First: What are Essential Oils? Essential Oils are small but very powerful compounds – one single drop of Essential Oil contains 150 botanical actives! Oily skin is caused by overproduction of sebum and it’s a common myth that using an oil-based serum will make your skin more greasy. Over-cleansing and using products that strip the skin will actually cause your skin to become oilier as the skin works to replace the lost oil. Try Aromessence Ylang Cananga Oil Serum twice a day with Ylang Ylang Essential Oil to reduce shine, improve skin texture and reduce blemishes. Dehydrated skin affects most women at some time in the year. Often, your moisturiser works in the morning but by lunchtime, your skin can start to look dry again. Try Aromessence Neroli Amara Oil Serum to lock in hydration all day long, with Essential Oils of Sweet Orange this serum is clinically proven to protect against the signs of pollution whilst leaving your skin with a glow. Our skin starts to age at about 25 years old, with the loss of collagen starting from 30 years old. It can be hard to know what to do when you start to see the lines and wrinkles appearing but it is important to target these signs of ageing when they first appear. Try Aromessence Mandarine Oil Serum with Mandarine Essential Oil to target the first signs of ageing. With a change in season fast approaching and temperatures starting to drop, it’s even more important to step up our beauty routines, and that applies to foot-care too! And just because our feet go into hiding in Autumn and Winter, doesn’t mean we should forget about them. In fact, feet tend to needeven more care and care during the colder months thanks to the colder air, central heating, and closed and often tighter-wearing shoes. It’s time ramp up the foot pampering now more than ever! Why is it important to care for your feet? Research has shown that the blood supply in the feet is hugely affected by the fluctuating temperature. So when the temperature drops and your feet become cold, your heels can become incredibly hard and crack. In order to keep the soles of your feet healthy and happy for this season and beyond, it’s important to exfoliate and moisturise them regularly to prevent the build up of hard skin. For beautifully soft feet all-year round, we’d recommend the best-selling Exfoliation Foot Peel andwith the newly launched Extra Rich Foot Cream from Baby Foot. What makes Baby Foot so special? Described as ‘weird’, ‘gross’ and the ‘best thing ever’, Baby Foot is Japan’s no.1 selling foot peel. A total foot care package for the feet, the Exfoliation Foot Peel takes just 60-minutes to get to work on dead skin build up. Formulated with 17 types of natural extracts which both exfoliate and moisturise at the same time, it works harder than any pedicure can achieve. The principal ingredient in the Exfoliation Foot Peel is fruit acid; a super gentle ingredient when compared with other acids. The unique fruit acid formula penetrates the layers of dead skin cells and breaks down the desmosomes which holds the layers together. With this process, the skin is un-damaged and peels away from the fresh layers beneath; with no pain experienced at all! When the peeling is all done (which is usually around the 10-day mark), your feet will look and feel as though they’re reborn and softer than you could ever achieve with the typical pedicure tools available. How can I maximise the results of Baby Foot? The Extra Rich Foot Cream is the essential aftercare care product to the Exfoliation Foot Peel. This rich and hydrating cream is enriched with Shea butter and provides your feet with exactly what they need post-peel; intense much-needed moisture! It’s just really important to remember that the Extra Rich Foot Cream should only to be applied once the peeling process is completely finished. Exfoliation and moisturising your feet really do go hand-in-hand. After-all, it’s hard for moisturiser to penetrate the skin deeply if hard skin is there; highlighting the need for both products for the absolute maximum results. 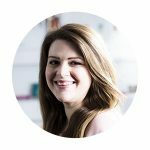 Did you know that the idea for Clinique came from a Vogue editor? 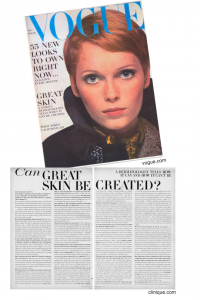 The year is 1967, and the question on everybody’s lips is: Can great skin be created? Norman Orentreich, a New York dermatologist, is advising his patients to use a 3-step skincare system of his own creation: cleanse, exfoliate, moisturise, when he meets Vogue Beauty Editor Carol Phillips. 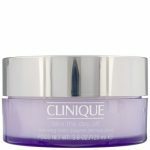 Tired of seeing the same one-size-fits-all creams in stores, together they create a trailblazing Vogue article and the rest, they say is history! In a leading article in the August 1967 edition of Vogue magazine – aka THE article – Dr Orentreich explained how great skin can be created. It was a fascinating article, and one that was also read by Evelyn Laude – daughter in law of Estée. A meeting was promptly set up between Carol Phillips, Dr Orentreich and Estée Lauder, and ‘Clinique’ was born. The idea that great skin could be created with the righ products marked a new era in skincare, and in 1968 the world famous 3-Step Skin Care System was introduced. 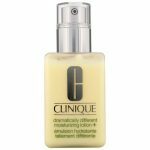 Barely a year later, Clinique opened its first UK beauty counter, and has since become on of the most trusted prestige beauty brands in the world. 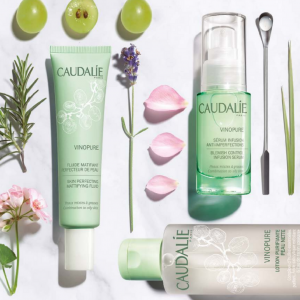 The first ever dermatologist-developed prestige beauty brand, all of clinique’s skincare products are 100% fragrance-free and allergy tested. 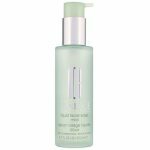 They debuted with 117 products, of which, the 3-Step System – cleansing with facial soap, exfoliating dead skin cells with the clarifying lotion, hydrating and balancing the skin with moisturiser – will forever be the star of the lineup. Launched in 1988, Clinique Happy is a cool, modern, floral scent that contains top notes of apple, blood grapefruit, plum, bergamot, Indian mandarin and orange. Middle notes of rose, lily-of-the-valley, freesia and orchid, and base notes of musk, amber, magnolia, lily and mimosa. This award-winning soft-solid cleansing balm melts into a soothing, lightweight oil upon application, gently dissolving eye makeup, dirt, oil, suncreen and impurities. When it comes to skincare I’ll confess I’m fickle. At any one time my skincare (micellar water, cleanser, moisturiser, toner etc.) is all from different brands. And although cherry picking products can be the best of all worlds, I do wonder if there’s a benefit from using products created to work in sync with each other. To test this theory I set myself the task of using only skincare by one brand for 30 days. 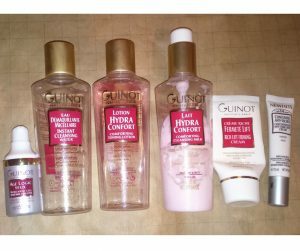 And since Guinot is one of my favourite skincare brands I decided on the ‘Guinot challenge’. Here are the only skincare products I used for the 30 days of the challenge. I used all products in this order, morning and night. So did I notice anything using the same brand for 30 days? Well firstly my skincare felt more structured. I had a neat row of bottles and products that matched, instead of my usual mish-mash. And the texture and scent of each product worked so well with the next. Even though I was following a 6 step system, it seemed to work quickly – I can’t say why for sure, but it just flowed. The whole process took around 5 minutes from start to finish. 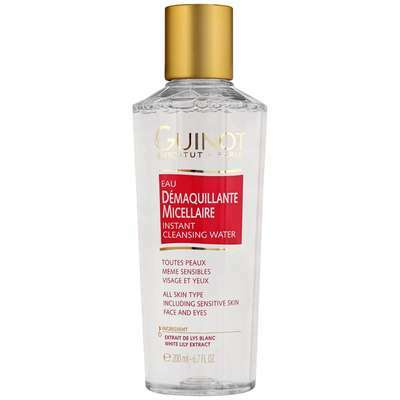 My skin looked great and my dry patches vanished, which is testament to the great job that Guinot does. And although I have other favourite brands, there are products I loved that will definitely stay in my routine, such as the fabulous creamy cleanser. 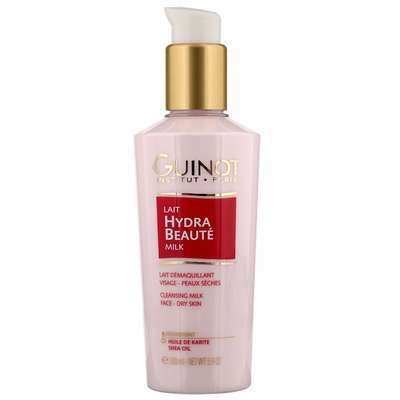 If you’d like to take the Guinot challenge you can shop all Guinot at allbeauty. 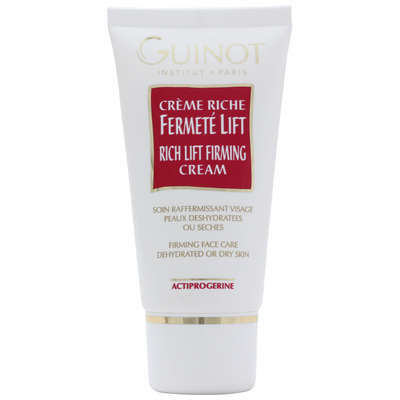 And if the products I used aren’t quite right for you, Guinot has a large range of skincare for all skin types. Suffering from oily, dull, blemish-prone skin? 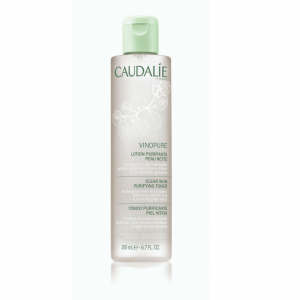 Caudalie have a solution so pure it’s even safe for sensitive skin! 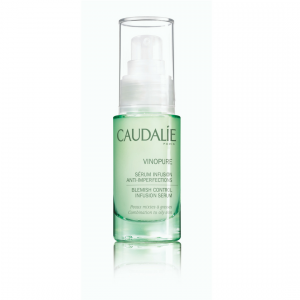 NEW from Caudalie, the VinoPure range is made up of a Clear Skin Purifying Toner, Blemish Control Infusion Serum and Skin Perfecting Mattifying Fluid, and has been designed to help target blemishes, reduce shine and prevent oiliness. The overproduction of sebum is responsilbe for shine – usually most prominant on the T-zone – and an overall dull appearance to the skin. Hyper Keratinization is the name used when dead skin cells build up on the upper layer of the skin, clogging pores and causing blackheads. Skin is also left feeling rough. Bacterial Overdrive is responsible for blemishes. Made from at least 97% natural ingredients, NEW VinoPure contains natural salicylic acid to unclog, tighten pores and refine skin texture; organic rose water to control oil and improve radiance; and grape polyphenols and organic essential oils to limit the production of acne and reduce sebum oxidation. Developed from natural ingredients in the Caudalie Laboratory, the unique cockail of grape polyphenols and essential oils – lavender, lemongrass, geranium, rosemary, lemon balm and peppermint -works simultaneously to prevent P. acne bacteria – the main cause of inflammation and dullness. Vinopure is also free of synthetic fragrance. Made from 99% natural-origin ingredients, Clear Skin Purifying Toner adds a splash of freshness to your skincare routine. Suitable for even the most sensitive of skin, it gently purifies and prepares skin for the next stages of your skincare routine. To use: Apply morning and evening to the face and neck using a cotton pad. Do not rinse. Made from 98% natural-origin ingredients, Blemish Control Infusion Serum is a powerful ultra-concentrate of natural-origin active ingredients to help exfoliate, unclog pores and reduce blemishes. With salicylic acid, patented Caudalie complex, organic rose water and hyaluronic acid, this lightweight gel melts into skin leaving it refreshed and balanced. To use: Apply morning and evening to the face and neck after toner. 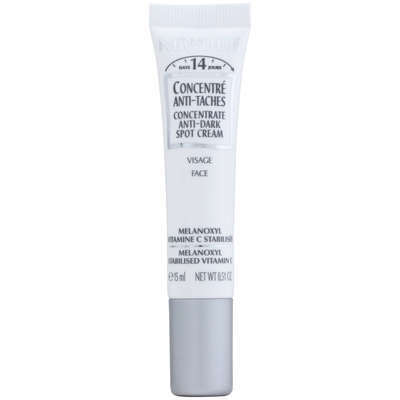 For better results, allow it to absorb for a few minutes before applying creams. Made from 97% natural-origin ingredients, Skin Perfecting Mattifying Fluid is a true shine control saviour! With silica powders to instantly mattify skin and organic rose water and vitamin B3 to regulate shine and restore natural radiance, it also moisturises and comforts skin. 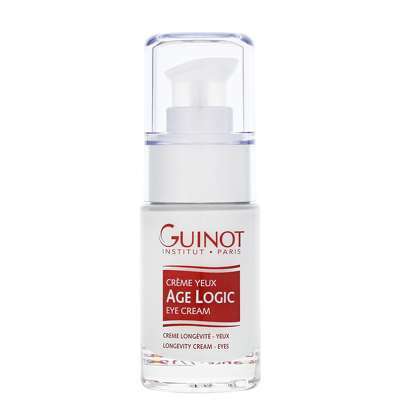 To use: Apply morning and evening after serum. Created by monks and harnessed by Roger & Gallet. You can be a modern empress with this 300Yr old royal beauty secret! Beloved by Empress Josephine, Queen Victoria, Aqua Mirabilis is the royal beauty secret that was said to be the magic behind their aura. 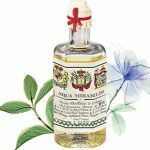 Nearly 300 years ago, this powerful, natural elixir was created by monks and could be drunk or applied to the skin. Used to treat a wide range of remedies, it was deemed to be a true miracle. Created with 18 distilled officinal plants, each selected for their healing properties from the monastery healing garden, the formula is now owned by Roger & Gallet. Naturally, Roger & Gallet wanted to understand the science behind the magic. Although recognised by a medicinal faculty since the 18th century, they approached a team of researchers from Ruhr University to further understand the formula. In particular, its role in cellular regeneration. They succeeded in proving this ‘magic mix’ activates certain olfactory receptors. On contact with skin, these receptors lead to activation of an enzyme which uses the energy of the plant to allow calcium ions to be penetrated into the skin. It’s these ions which trigger the cell to being the healing process and cell regeneration. 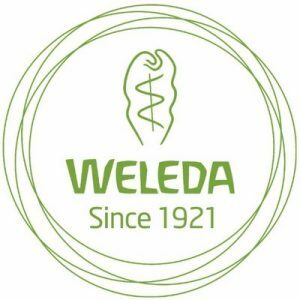 These results were presented to and recognised by the European Society of Dermatological Research in 2016 and 2017. 100% in love with this serum! It’s lightweight but hydrating (and not at all greasy). I’ve been using it at night after cleansing and every morning my skin has looked plumped, healthy and ready to face the day – I absolutely love it. The scent is beautiful too, it’s perfect for a night-time ritual! 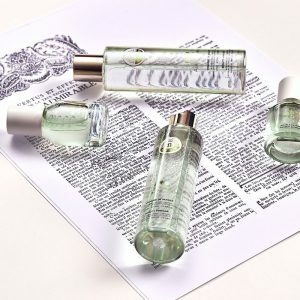 You can shop all of the Aura Mirabilis range online at allbeauty.